This new two-story home boasts a beautiful west-facing homesite with a backyard view of Utah Lake! 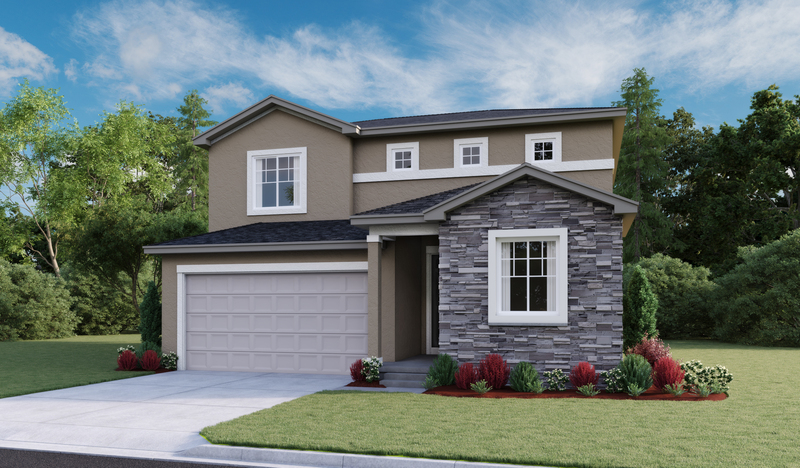 On the main-floor, you'll find a convenient bedroom with a full bath, an accommodating great room, and a spacious kitchen with a center island and adjacent dining area—featuring access to the backyard via elegant center-meet sliding doors. Upstairs, you'll enjoy a laundry room and three more bedrooms, including a relaxing master suite with a roomy walk-in closet and a private bath with double sinks. Additional highlights include quartz countertops in the kitchen and bathrooms.